Worried about financing your cosmetic enhancement journey? We’ve got you covered! We offer four incredible financing options to ensure that every patient has the opportunity to meet their aesthetic goals. These loans can cover a portion of your treatment or an entire procedure depending on your individual needs. You can apply for a financing solution in our offices during your visit or online before you arrive. You’ll receive your response in minutes! CosmetiCare offers our CareCredit plan with 0% interest and low monthly payments to those who qualify. That means that you can spread out your monthly payments to coincide with your unique financial situation without having to spend a single cent of interest! The newest option we offer is The GreenSky Patient Solutions® Program, which provides flexible financing to meet your needs. This option makes it possible for you to receive the healthcare treatments and services you want and need without delay. The Program offers trusted financing to give you a simple and affordable way to quickly get approved for your care. Our Orange County facility also offers an Alphaeon Credit financing solution. Alphaeon provides credit lines that are available exclusively through board-certified plastic surgeons, ophthalmologists, and dermatologists. Our financial team will help you apply for special financing options for any purchase over $250, allowing you to potentially receive up to $25,000 in credit! Lastly, an additional in-house financing solution is available. 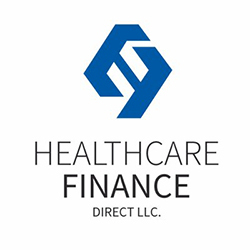 As our goal is to help every prospective patient, we offer this solution when other financing options aren’t viable. At CosmetiCare, we do our best to help every patient in need.